Posted in: ATP, Australian Open, Steen Kirby. 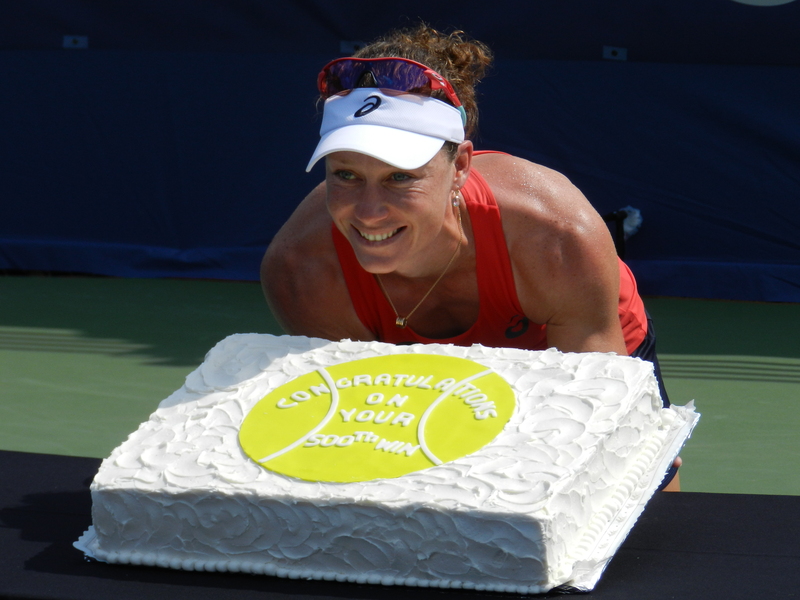 Tagged: 2015 AO, 2015 AO Picks, 2015 AO Predictions, 2015 AO Preview, 2015 Aussie Open, 2015 Aussie Open Mens Preview, 2015 Aussie Open Picks, 2015 Aussie Open Predictions, 2015 Aussie Open Preview, 2015 Australian Open, 2015 Australian Open Mens Draw, 2015 Australian Open Picks, 2015 Australian Open Preview, Andy Murray, AO, AO 2015, AO Picks, AO Predictions, AO Preview, atp, Aussie Open, Aussie Open 2015, Aussie Open Mens Draw, Aussie Open Mens Preview, australia, Australia Tennis, australian open, Australian Open 2015, Australian Open Mens Draw, Australian Open Picks, Australian Open Picks 2015, Australian Open Prediction, Australian Open Predictions 2015, Australian Open Preview, Australian Open Preview 2015, bernard tomic, Borna Coric, david ferrer, david goffin, denis kudla, Dominic Thiem, Dustin Brown, ernests gulbis, feliciano lopez, gilles muller, Grigor Dimitrov, Guillermo Garcia-Lopez, Jeremy Chardy, Jiri Vesely, John Millman, Jurgen Melzer, Kei Nishikori, leonardo mayer, melbourne, Melbourne Park, Men's Draw Australian Open, mens, milos raonic, Nicolas Almagro, novak djokovic, Peter Gojowczyk, picks, predictions, preview, Roberto Bautista Agut, Rod Laver Arena, roger federer, sam querrey, Stan Wawrinka, tennis, Thanasi Kokkinakis, tomas berdych, Vasek Pospisil, Victor Estrella, Viktor Troicki. It’s one of the more open Grand Slam draws in a while when it comes to the Men’s Aussie Open. The traditional “big four” of Djokovic, Nadal, Federer, and Murray are all competing for the title, while other names could also put up great showings including defending champion Stan Wawrinka, Kei Nishikori, and Milos Raonic. Here is a preview of all that could take place down under come Monday. Notable players missing in the draw include US Open champion Marin Cilic, former finalist Jo-Wilfried Tsonga, former top 10 player Tommy Haas, Juan Martin Del Potro, who came back last week but needs to rest his wrist again and pulled out of the draw, and young American Jack Sock, who are all injured. RBA reached the round of 16 last year, his best result ever in a slam, and even with his top 15 seeding he likely won’t be pleased by his round 1 opponent Dominic Thiem. Thiem appears to be struggling with his fitness early in the season, as he was sick and lost weight in the offseason, thus RBA will be a favorite, but the young Austrian still has talent, and given RBA crashed out of Auckland with flu like symptoms, he may also not be feeling so hot himself. RBA should advance but it’s not a lock by any measure. 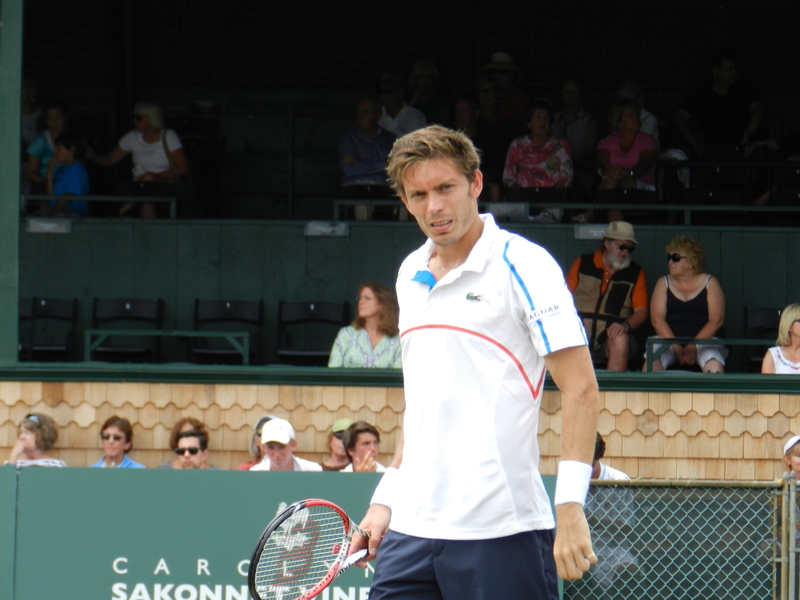 Lopez lost his opening match in Chennai, and played poorly in both the Abu Dhabi and Kooyong Exos in preparation for the AO. He’s a top 15 seed but his form appears to be awful, and the USTA WC winner Kudla will have a chance of grabbing an upset win in this one. Lopez is the more talented player but he recently lost to lower ranked players Aljaz Bedene and Jordan Thompson, thus I’m making a gutsy pick and going with Kudla to advance. He’s 4-2 in 2015 and his form appears to be reliable enough to win this one. One of the few R1 matches to watch that has any sort of h2h record: Querrey won a 4 setter over Pospisil on grass at Wimbledon in 2012, and Vasek is defending his best ever result in a slam, as he reached the third round here last year before injuring his back. Both players played well at times last year but only Pospisil has won a match this season, as he beat Andreas Seppi in Sydney. I give Vasek a slight edge to advance but this match is almost a pure toss-up. 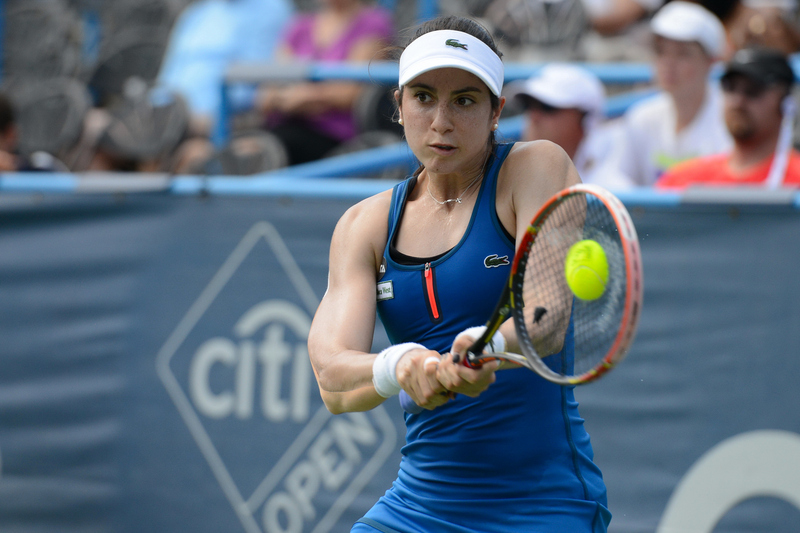 GGL appears to be in poor form going into this match, as he has lost a pair of matches to lower ranked players, given he slumped at the end of last season, the German Gojowczyk will have a good chance to advance. He’s a talented player who hasn’t reached his potential yet, having mostly played challenger level tennis, and I expect this one to go four or five sets as well. The h2h for this matchup is split 1-1, and both times they met at the ATP level, the match went a full three sets. Nishikori is playing under the pressure of being the top Asian player in the Grand Slam of Asia-Pacific while Almagro is returning from injury and still has rust. Nishikori is favored to advance and likely will, but it’s not the easiest R1 match-up for a number 5 seed in a slam and we could be looking at a four or five setter. Also watch out if this is a day match for Nishikori possibly wilting in the heat. The almost 35 year old Estrella will face off with the 33 year old Melzer in round 1. Estrella is making his Aussie Open debut, as he reached a career high ranking inside the top 70 in 2014 and got himself into the main draw by the end of the season. Melzer once reached the second week in Melbourne but he struggled mightily last season and his ranking dropped low enough he had to qualify to get into the main draw. Both these guys are at the twilight of their careers, though Melzer has accomplished considerably more in his, and this will be a fun match to watch veterans do battle. Estrella isn’t a pushover on hard courts, but given Melzer is more talented and apparently rounding into some form, I have him winning this one. A match between players who won ATP titles in Sydney and Auckland last week, which is quite rare in terms of occurrence, both are in great form, but given they won those titles as qualifiers, are likely very fatigued going into the AO. Vesely is a promising young gun who just broke into the top 40, while Troicki is a passionate competitor who has had a tremendous comeback. This match could be great, but at the same time, if they meet during the day in difficult conditions, I would almost expect a retirement if the match starts swinging one way or another depending on the physical condition of the players coming into the match. It’s a hard pick with all that in mind, but I feel Troicki is actually the better player right now, and I have him winning this one. A match with great potential for an upset, Mayer is a top 30 player but he is far superior on clay than on hard courts, and though he made the semifinals in Sydney, I still think the Aussie wild card Millman will notch the upset. Millman is a talented player who is 11-1 in his last twelve tournament matches, with that lone loss coming to Roger Federer. Given this is hard courts, and Millman will have support from the home crowd, he should feed off that and use it to fuel him to a victory. Gulbis has lost three straight tournament matches going back to least season and he struggled mightily in his only warm up test this year against Jiri Vesely in Auckland. He rarely plays well at the AO and he will be facing a home young gun player in Kokkinakis. The lanky Kokkinakis lost to his countryman Bernard Tomic in the second round of Brisbane in his only tournament tune up. Once again Gulbis is a top 15 seed, but upset potential exists depending on the type of form the Latvian is in. I’m not over confident in Kokkinakis but he’s due for a big win and I have him through to round 2 in my own bracket. The only time this pair met, on clay in 2012, it went 3 sets, and though Dimitrov reached the quarters in Brisbane, he wasn’t super impressive there. Brown is an erratic player who play lights out tennis on rare occasion, and otherwise is a challenger level player, I still feel Dimitrov will win, possibly in straight sets, but I don’t feel enough people are looking at this matchup as one to watch. If Dreddy shows up playing like a human highlight reel, and Dimitrov gets off to a slow start, we could at least be looking at a four or five setter. Expect some talented shotmaking by both players here. Chardy, a former quarterfinalist here, will take on the confident young gun Coric who is 1-2 in his ATP tune up matches this season, while Chardy is 2-2. Coric has a lot of talent but his pedestrian performance against clay courter Pablo Carreno Busta in Auckland demonstrates he’s far from reliable at this stage in his career, thus Chardy, the veteran Frenchman, is probably a slight favorite. This one could go either way depending on which Coric shows up, but I personally have Chardy going through to round 2. The four time Australian Open champion Djokovic will open with an in-form Aljaz Bedene who qualified for the AO after reaching the Chennai final, then should get another easy match against Andrey Kuznetsov/Albert Ramos before a likely third round meeting with former AO semifinalist Fernando Verdasco. Verdasco, who comes off a pair of wins in the Kooyong exhibition, will need to defeat journeymen James Ward and Go Soeda/qualifier Elias Ymer to get that far. Ymer is a promising young Swede and he should beat Soeda but I don’t feel he has enough ability to beat Verdasco. Djokovic is 3-1 against Verdasco on outdoor hard courts in his career and I don’t see any particular reason why Novak won’t make the second week based upon his potential draw. Bedene is in great form but he’s played so much tennis as of late Novak should wear him down. The RBA/Thiem winner will face Gilles Muller or Pablo Carreno Busta in round 2. The big serving Muller comes off the semis in Sydney and he’s 5-2 in 2015. With that in mind, given the surface, and RBA in questionable form coming off illness, I’m calling an upset in this section and putting Muller through to the third round. He’s had a great comeback over the past year and he’s due for a solid slam result. Muller/RBA/Thiem will face most likely John Isner in round 3. Isner has a good draw if he doesn’t lay an egg here, with qualifier Jimmy Wang, and qualifier Laurent Lokoli or Andreas Haider-Maurer on tap in the first two rounds. Isner is 3-0 in his career against Muller, with all of those wins coming on hard courts and given their similar styles of play, with Isner being better at the one two serve/return combo, the American should make the second week, even with poor history in Melbourne. If RBA were to be fit and healthy and get to the third round, I would have him beating Isner but that’s a big if. Milos Raonic, who comes off the final in Brisbane, will be trying to break through in a slam this year, and he should at least make the second week, as his path is qualifier Ilya Marchenko, Donald Young or qualifier Tim Puetz, and one of Julian Benneteau/Benjamin Becker/Lleyton Hewitt/Ze Zhang to get to the round of 16. Raonic is 2-0 against Auckland quarterfinalist Young, while Benneteau should beat Becker, who he is 2-0 against, with Becker not having won a match in 2015. Lleyton Hewitt is struggling but he’s still a strong favorite against the Chinese wild card Zhang and given Benny won their H2H meeting last year, I expect home hero Hewitt to be ousted in round 2, and a Benneteau vs. Raonic third round match. Raonic is 3-1 in his career against Benneteau, and in good form, so he should reach the round of 16. The Lopez/Kudla winner is slated to face Blaz Rola, or Auckland finalist Adrian Mannarino. Mannarino has been in great form in 2015, but Rola has talent and they are similar level players as a general rule. With Mannarino likely fatigued, even with Rola in poor form, I have a Kudla vs. Rola round 2 matchup, with a great opportunity for third round points for the winner. Kudla and Rola have never met, but Kudla is playing better tennis right now, so I have him into round 3 in my own bracket. Jerzy Janowicz, or Hiroki Moriya, who took Del Potro’s place in the draw as a lucky loser will face Gael Monfils or wild card Lucas Pouille in round 2. Pouille was a semifinalist in Auckland as a lucky loser while Monfils hasn’t had any match prep before the AO. I expect Pouille to be fatigued, but he did play some great tennis in Auckland, so perhaps that match will stretch out, that said I have Monfils over Janowicz in round 2. Monfils beat JJ last year, and I feel that style matchup favors the acrobatic Frenchman, after that Monfils should beat Kudla/Rola or someone else in round 3 to reach the round of 16 from this section. Janowicz has been decent this year, but not good enough to get past round 2. The defending champion Stan the man will face Marsel Ilhan in his first match on his quest to repeat as the champion. After Ilhan it will be qualifier Marius Copil or Pablo Andujar, and then most likely Jarkko Nieminen or a qualifier in round 3, in what is very weak early draw for Wawrinka, as he should face little in the way of tough competition. Nieminen, who qualified in Sydney, will need to dispatch Andrey Golubev, and then Pablo Cuevas or qualifier Matthias Bachinger to reach the third round. Cuevas much prefers clay, so Bachinger, who is 5-1 in 2015, will also have a nice chance at round 2, but regardless Wawrinka should defeat Nieminen in round 3, as he comes off taking the Chennai title and is in great form. Also look for an in form Copil to defeat Andujar, the Romanian is 6-1 in 2015 and qualified by beating Aussie teen Omar Jasika in straight sets. Fabio Fognini is slated to face Alejandro Gonzalez in round 1, the Italian is seeded 16th but has been playing well below the level of a top 50 player for quite some time. Thus Gonzalez, even though he prefers clay, may have just enough ability to notch an upset victory, given that unlike Fognini, he’s known for fighting hard in matches. The winner of Fognini/Gonzalez will face Garcia-Lopez/Gojowczyk in round 2, and I have Gojowczyk getting into the third round as a surprise. At that stage, expect the Pospisil/Querrey winner to defeat him, or another opponent, to reach the round 16. The winner of Pospisil/Querrey is slated to face Alex Dolgopolov or dirtballer Paolo Lorenzi in round 2. With Dolgopolov coming off an injury, though he should still defeat Lorenzi, who mostly plays hard court tournaments to collect a check. Dolgo has great talent but with that injury in mind, Pospisil/Querrey, most likely Pospisil should beat him, and eventually reach the second week. It’s possible Dolgopolov may withdrawal, and it’s a shame he’s not healthy because otherwise this would be a great draw for him all in all, if he withdraws and one of the lucky losers replaces him, I still favor that LL over Lorenzi. Nishikori/Almagro will face Ivan Dodig or Joao Souza in round 2, with neither of those players being in particularly impressive form, I expect Nishikori to setup a round 3 encounter with American Steve Johnson. Johnson, an Auckland quarterfinalist, has qualifier Kyle Edmund first up, and then Santiago Giraldo or qualifier Jan Hernych, with Giraldo in poor form right now (He was rolled over in his first Auckland match) Johnson has the advantage, as he’s also more accomplished than Edmund. Nishikori beat him in Brisbane, and I expect the same result, with Nishikori making the round of 16. Doha champ David Ferrer will face the laggard Thomaz Bellucci, with Dusan Lajovic or Sergiy Stakhovsky on deck, Ferrer is a near lock for the fourth round, as his third round opponent is most likely Gilles Simon, who appears to be struggling with a knee injury. Simon has had AO success before, and he still should reach the third round as the legendary choker Robin Haase, and then the Stephane Robert/Marcel Granollers winner are his path, with Granollers in awful form in his own right. Overall this section is weak and Ferrer is far superior to anyone else here. Nadal is another player that is in terrible form going into the AO, but he has a round 1 opponent who is in even worse shape than he is, that being the veteran Russian Mikhail Youzhny. Youzhny has four career hard court wins against Rafa but none since 2008, he’s lost four straight matches going back to last season. Even though Nadal is 4-4 in his last eight with losses to the likes of Michael Berrer in Doha, Martin Klizan in Beijing, and Borna Coric in Basel, he still should beat Youzhny given this is a slam. After Youzhny, Nadal will face qualifier Tim Smyczek or Luke Saville, an Aussie wild card. In the third round, Lukas Rosol, who famously beat him at Wimbledon, is a possible opponent but I personally have JL Struff getting through to that stage instead to be Nadal’s opponent. Struff opens with Israeli veteran Dudi Sela, Sela hasn’t played any warm up events in 2015, while Struff is 2-2 in 2015 with wins over solid competitors Philipp Kohlschreiber, and Dominic Thiem. Rosol faces Kenny De Schepper first up, the Frenchman qualified and won a round in Auckland, while Rosol is on a four match losing streak.there may be some upset potential there but De Schepper is a one dimensional player built around his serve so I’m not sure he has enough to win. Struff beat Rosol last year on grass, and given current form, I have Struff over Rosol as I mentioned earlier. I’m deeply tempted to pick Struff over Nadal, but that would be quite a shocking pick, and I’m not confident enough to make it. Smyczek should defeat Saville as he’s the more accomplished veteran and plays some of his best tennis at the AO, Saville has yet to win a match in 2015 while Smyczek has won four and has more confidence. The fourth round opponent for Nadal/Struff/Rosol is most likely to be either Auckland semifinalist Kevin Anderson, or Richard Gasquet, who made the quarterfinals in Doha. Anderson faces off with Argentine Diego Sebastian Schwartzman in round 1, Schwartzman much prefers clay, so it is almost certain to be Anderson against Igor Sijsling or Ricardas Berankis in round 2. Berankis has had some success in Australia, while Sijsling qualified in Sydney, I favor Berankis getting through over the one dimensional Sijsling. His match with Anderson is quite interesting, he is 2-0 in the h2h record with both those matches taking place at the challenger level, and Anderson may have some level of fatigue, with that in mind I’m going with an upset and placing Berankis in the third round. Richard Gasquet should safely defeat Carlos Berlocq, and then either Blaz Kavcic or home Aussie James Duckworth to reach the third round. 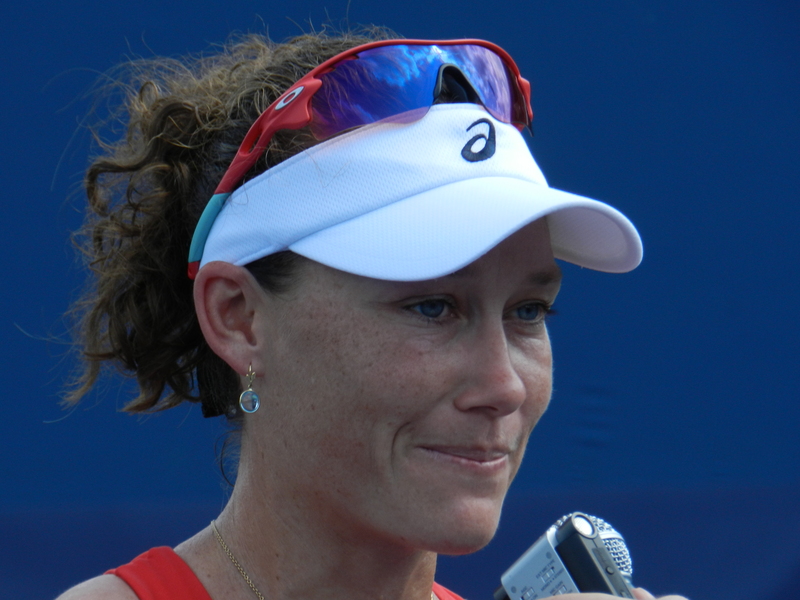 Duckworth and Kavcic played a legendary match at the 2013 Australian Open, Kavcic won in five sets, 10-8 in the fifth, and had to get an IV after the match because it was played in white hot conditions. Kavcic qualified in Doha, and Duckworth made the quarters in Brisbane most recently, with home support, I feel like Ducky will get through to round 2. Expect Gasquet to take out Berankis in round 3 to reach the round of 16. Doha finalist Tomas Berdych will face Alejandro Falla in round 1, then the winner of Estrella/Melzer, Berdych should safely reach the third round and face either Troicki/Vesely or the Millman/Mayer winner at that stage. I’m predicting a great tournament for Millman, as I have him beating Mayer, and then a fatigued Troicki/Vesely in round 2 to reach round 3, before falling to Berdych, who occasionally has lapses in form, but appears to be in good form. The Gulbis/Kokkinakis winner is slated to face Filip Krajinovic/Sam Groth in round 2, Groth has a great shot at the third round, he plays well at home in Australia and Gulbis isn’t in great form here, while Kokkinakis still hasn’t fully matured, while the big serving, one dimensional Groth made the quarters in Brisbane. I have a Groth vs. Bernard Tomic third round matchup slated, Tomic just beat a struggling Kohlschreiber who has lost three straight, in Sydney and he is likely to face him again in the second round. Assuming Kohli beats Paul-Henri Mathieu and Tomic beats Tobias Kamke. Tomic and Groth have yet to play each other, but with Tomic being more well rounded and normally playing well on home soil, Bernard should reach the round of 16 to face off with Berdych. Four time AO champ Federer will open with Rendy Lu, who is a solid hard court player but doesn’t have near enough weapons to take out the Swiss, who most recently won the Brisbane title. Federer is likely to face Simone Bolelli in round 2 as Bolelli faces a slumping Juan Monaco in round 1. Though he recently made the quarters in Sydney, it’s highly unlikely Federer will face any trouble in his first two matches. In round 3 it will be Chardy/Coric or Denis Istomin/Andreas Seppi as the opponent for Federer. Seppi and Istomin have a back and forth h2h history and Seppi leads it 2-1 on hard courts with a pair of Grand Slam wins that went five sets. The recent Doha semifinalist Seppi should beat Istomin who hasn’t won a match in 2015. Chardy beat Seppi at the 2013 AO and I feel he will do so again before losing to Federer who he famously beat on clay last year but is 0-2 against otherwise. The fourth round opponent for Federer is most likely to be Ivo Karlovic, Karlovic upset Novak Djokovic in Doha and reached the semifinals. If his serve is clicking, he should defeat qualifier Ruben Bemelmans, then dirtballer Federico Delbonis or Nick Kyrgios, the promising young Aussie who seems to be struggling with a shoulder injury. Kyrgios probably has enough talent to beat Delbonis on a hard court, but with an injury, Karlovic should defeat him as Kyrgios may have trouble reading the Croats serve. Tommy Robredo has an abductor injury but he plans on playing anyway. The Spaniard will face Edouard Roger-Vasselin in Round 1 and perhaps Mikhail Kukushkin, who was a finalist in Sydney, in round 2. Kukushkin would need to defeat Malek Jaziri. I have Kukushkin into the third round before falling to Karlovic. ERV could also upset Robredo but the Frenchman isn’t playing well right now so I’m not risking it in my own bracket, even with Robredo less than 100%. Andy Murray, who hasn’t lost a match in 2015 (Hopman Cup and Abu Dhabi exo singles) faces qualifier Yuki Bhambri, then qualifier Alexander Kudryavtsev or Marinko Matosevic in his first two matches. I don’t expect much trouble for the three time former AO finalist in the first two rounds, especially given Matosevic is slumping. Brisbane quarterfinalist Martin Klizan could be trouble in the third round though. Klizan, who opens with Tatsuma Ito, has been in great form recently, and his round 2 opponent will be either Aussie wild card Jordan Thompson or Joao Sousa. Thompson is a promising young player who took Jerzy Janowicz the distance last year at the AO, but I don’t feel he has matured enough to deal with the powerful shotmaker Klizan. Murray and Klizan have never met, but it will be a high quality third round matchup if it takes place, and isn’t likely to be straight sets. Murray has been in good form since the second half of 2014 and he is working hard to get back into the top 5. Given Murray is best at defense and returning the ball, while Klizan is a bit of a ballbasher, the matchup favors Murray. Murray/Klizan are set to face either the Dimitrov/Brown winner or David Goffin in the round of 16. Goffin, a semifinalist in Chennai, who has played some high quality tennis since the second half of 2014, will need to beat qualifier Michael Russell who continues to grind away on tour, then Marcos Baghdatis or Teymuraz Gabashvili to reach the third round. I expect him to do so and set up a highly anticipated clash with Dimitrov, that should have basically even odds. However, Dimitrov beat Goffin at last year’s US Open and is 4-0 overall against him in the h2h. That h2h record gives me enough reason to pick Dimitrov to reach the round of 16. Dimitrov’s path to round 3 is Brown, and Lukas Lacko or Maximo Gonzalez in round 2. Muller has a potential path to the round of 16. He will need to beat an inconsistent Bautista Agut, and Isner, who can tire and do poorly in slams, to get there. I don’t see him having a shot against Djokovic, but a second week showing for a player who has a great comeback story from injury is still inspiring. 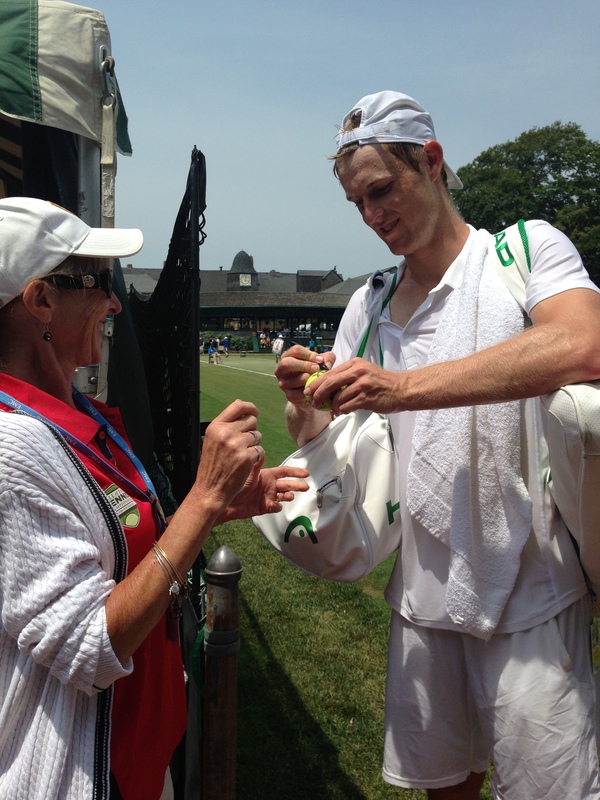 Gojowczyk has a great path to the third round, and could also make the round of 16. To do that he will likely need to defeat Pospisil/Querrey but that is a doable proposition given they aren’t known for being the most reliable players. Tomic could even reach the quarterfinals, but on home soil he should at least be good enough for the round of 16. The seeds in his section, Gulbis and Kohlschreiber, are both in poor form and he would face Berdych in the round of 16. He must be pleased with his draw as he seeks to prove to his home country that’s he’s truly serious and committed to being successful at the top level of tennis. Goffin will have his big test against Dimitrov in round 3. If he can pull that upset off, he can also make the second week, and this is still a good draw for him to make a run. Isner has won twice against Novak on hard courts, and the Serb does tend to struggle with big servers, but Novak plays some of his best tennis at the AO and thus should advance, perhaps dropping a set or two. Monfils is 2-0 in his career against Raonic but I feel the Canadian is clicking right now, and he’ll be able to pull through in a best of five sets format. Monfils tends to get distracted at points in matches, and if Raonic can maintain his serve that should be enough. Wawrinka was slated to meet Pospisil last year at the AO but Vashy hurt his back and had to withdraw. Wawrinka is the better player, and though Vashy may trouble him, I don’t expect an upset. Ferrer-Nishikori should be a great matchup and I could see it going either way. Nishikori has an overall h2h edge but on outdoor hard courts they are split 2-2, and Ferrer won the only time they met in Australia back in 2013. Ferrer is one of the fittest players on tour and appears to be in great form. I have a feeling if this is a daytime match, that Nishikori, who struggles with heat, could be negatively impacted, and that will be enough of a difference to give Ferrer the edge. Berdych has beaten Tomic in consecutive years at Wimbledon, and on a hard court. Berdy should be favored and anything is possible but Berdych is likely to overpower Tomic. Nadal could lose to Gasquet depending on his health, and form, but Rafa has destroyed Gasquet every time they have met including three times since 2013. With that in mind, I have to play it safe and pick Nadal into the quarters. Murray is 3-0 against Dimitrov on an outdoor hard court, and 4-2 overall in the h2h. They tend to play exciting, competitive matches yet I feel like Murray has more motivation right now and is playing better recently thus I have him through. Federer has won his last six meetings against Karlovic and given he looked good in Brisbane, I don’t expect him to have any trouble reaching the quarterfinals. Djokovic is 4-0 against Raonic. he tends to struggle against big servers, but still I don’t feel Milos has enough game to beat him. Wawrinka-Ferrer is a highly anticipated matchup in my estimation, Nishikori-Wawrinka likewise, the business end of the tournament will put a lot of pressure on Wawrinka as he seeks to defend his title, but I feel he’s talented enough to beat Ferrer as he has the last three times they have met. Berdych hasn’t beaten Nadal since 2006 and always plays poorly against him, but even though I feel Rafa will be weakened enough to lose this match, it’s a random guess, and I would never pick Berdy over Nadal in a neutral situation, but something appears wrong with Nadal. Federer is 2-1 against Murray at the AO alone, and both players have had success against each other, again this match could go either way, but I’m backing a motivated Murray who appears to want to prove the doubters wrong and get back into the Grand Slam discussion. Wawrinka and Djokovic have played multiple classic matches, and I have Novak winning this one given the 16-3 overall h2h and the fact Novak is 5-1 since 2013 in their h2h meetings. Wawrinka shockingly beat Djokovic last year here, 9-7 in the 5th en route to the title and five sets is certainly possible, but I feel the winning trend will return again in favor of Djokovic. Berdych actually has a 6-4 h2h edge against Murray and he won their last two meetings in 2013. That said, I still feel Murray is the better player and will get through given current form. Murray went 0-4 against Djokovic last year and is 0-3 against him in Australia, including losing two finals. With that in mind, Djokovic is a clear favorite to win yet another AO title. Posted in: ATP, Newport. 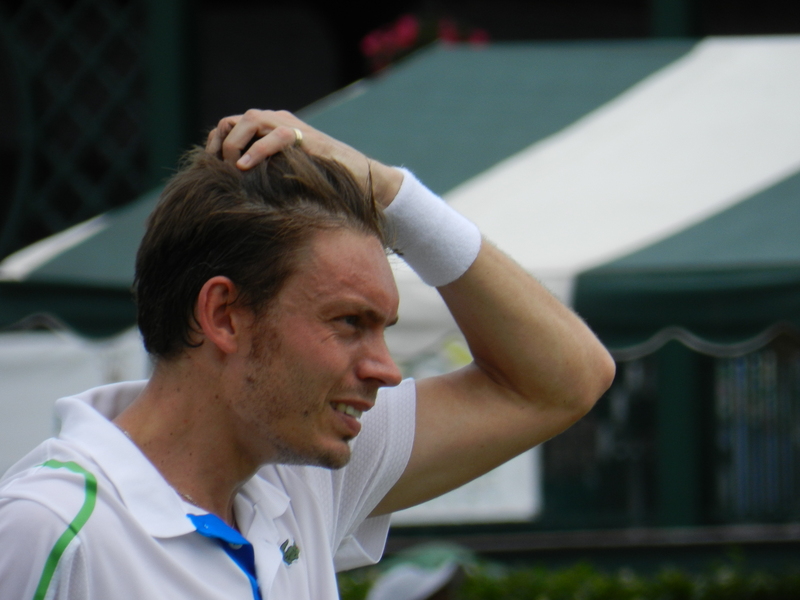 Tagged: 2014, atp, australia, championships, Hall of Fame, mens, Newport, Nicolas Mahut, Sam Groth, Samuel Groth, Semifinal, tennis. 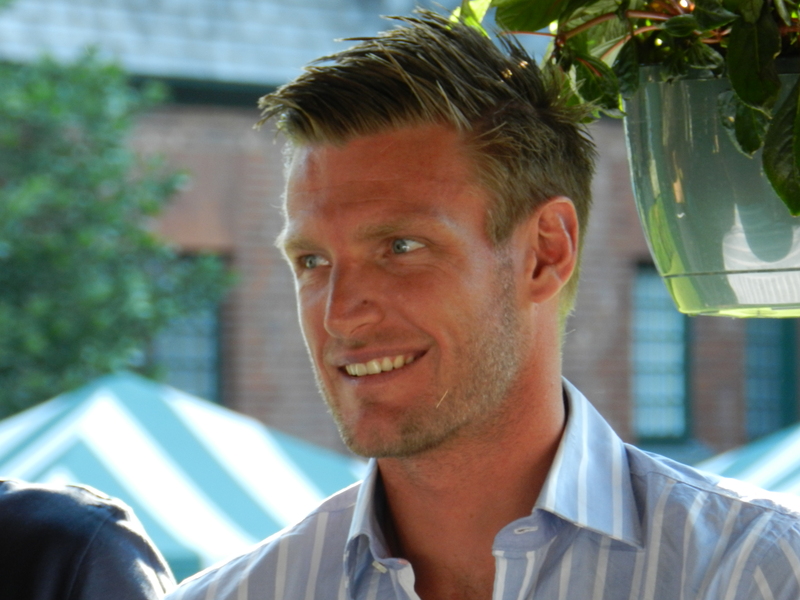 Sam Groth was called “the forgotten man of Australian Tennis” a few years back on a tennis fan site. He won’t be forgotten in Newport, as he made his first career ATP singles semifinal today by knocking out defending champ Nicolas Mahut. Groth executed a superb serve and volley attack plan to stun the Frenchman today. 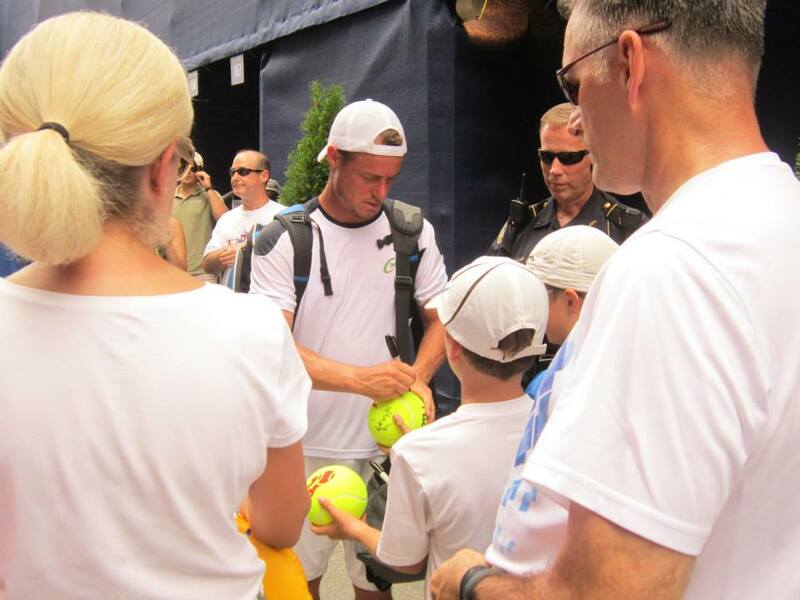 After the match, Groth reflected on his time away from the game, his faith in Coach Ben Mathias of the Australian Tennis Federation and the new faces of Australian tennis. 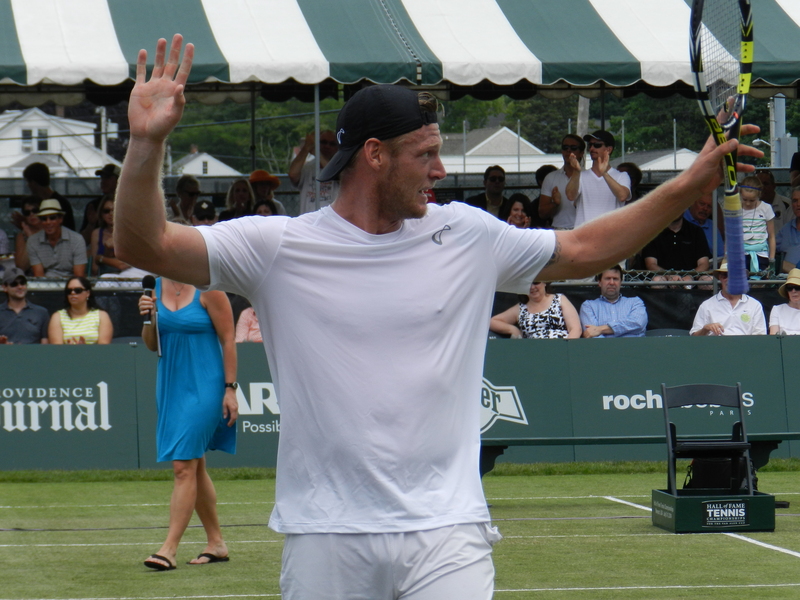 On Saturday, Groth faces Ivo Karlovic for a spot in Sunday’s final. Posted in: ATP, Newport. Tagged: 2014, atp, australia, Hall of Fame, Interview, lleyton hewitt, Luke Saville, mens, Newport, Nick Kyrgios, tennis, wimbledon. 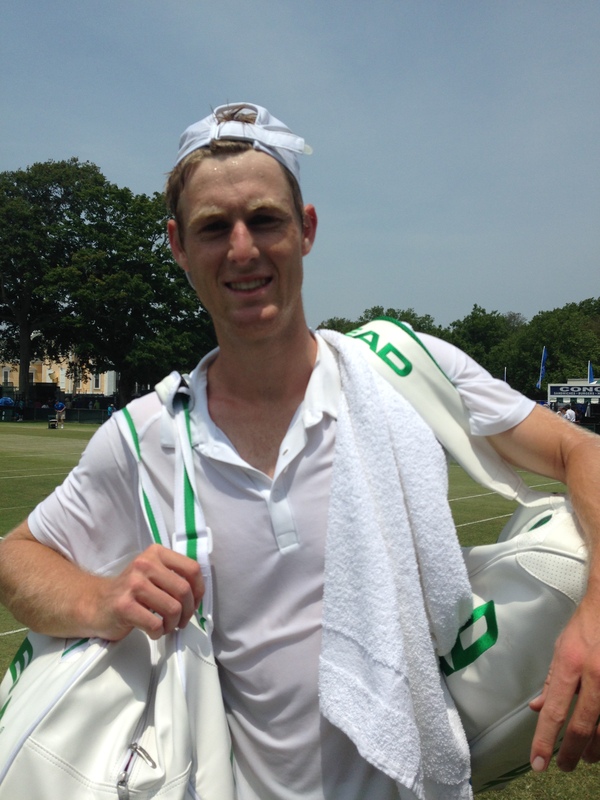 Luke Saville burst onto the scene last month by winning his 1st pro match, at Wimbledon no less. Today, he took a smaller but important step in his career by winning his 1st ATP tour match in straight sets at the Hall of Fame Tennis Championships in Newport, Rhode Island, a 6-4, 6-2 victory over Peter Polansky. In 2 qualifying matches and the first round win, the young South Australian has dropped 0 sets and only 9 games in 3 matches. That’s 9 games in 6 straight sets. Nice. Luke goes on to chat about Wimbledon, Nick Kyrgios and Lleyton Hewitt. Having been relegated to outer courts thus far in the tournament, Saville will get his day under the Center Court sun when he faces defending champion Nicolas Mahut tomorrow at 11:00 a.m. USEDT. Posted in: ATP, Brisbane, Chennai. Tagged: 2014, atp, australia, brisbane, chennai, India, lleyton hewitt, recap, Rusty, Stan Wawrinka. Lleyton Hewitt won his first ATP title in four years against the man he last beat in that ATP final in Halle four years ago, Roger Federer. Hewitt prevailed in Brisbane, 6-1 4-6 6-3 as the classic rivals battled it out. Federer started very poorly and Hewitt rolled in the first before Fed found his game and won the second set. 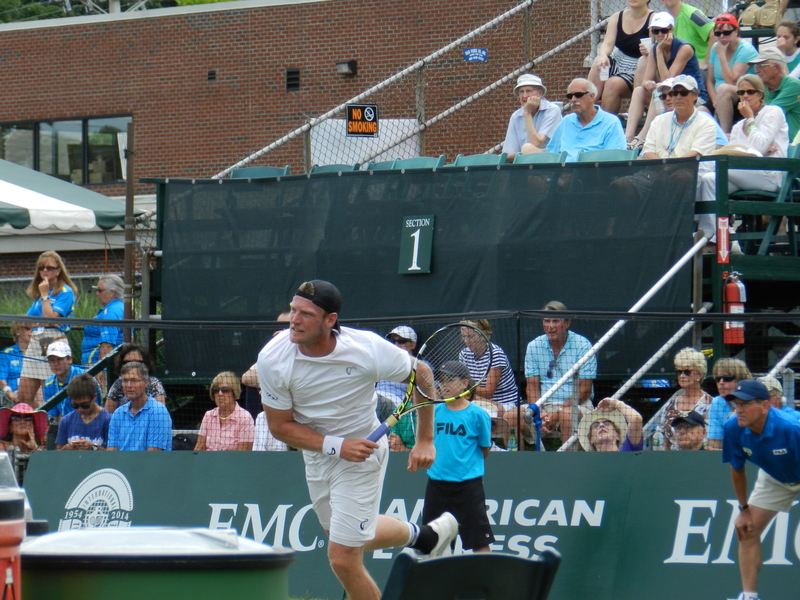 Then, Hewitt took ultimate advantage and finished the match in the third. Hewitt’s first ATP title came some 16 years ago, and the almost 33 year old now has 29 ATP titles. Hewitt beat Thanasi Kokkinakis, Feliciano Lopez and Marius Copil all in straights. He then won a tough 3 setter against Kei Nishikori, who plays very similar to him in terms of style, in order to reach the final. Federer looked improved at times in his pre-AO tune up, dispatching Jarkko Nieminen and Marinko Matosevic with ease before needing 3 sets against Jeremy Chardy. In that match, the Swiss maestro served very well but his unforced error counts were and have been an issue when he begins to struggle in matches. Mariusz Fystenberg/Daniel Nestor teamed up to beat Juan Sebastian Cabal/Robert Farah in the doubles final. Stanislas Wawrinka was the best player in the Chennai Open field, and he got the job done, winning his fifth career ATP title and second career Chennai title 7-5 6-2 over Edouard Roger-Vasselin. ERV was playing in just his second career ATP final. with his record now falling to 0-2 in those finals. ERV was able to keep things close for a set, but Stan ran away with the match in the end. Wawrinka crushed Benjamin Becker and Aljaz Bedene, then won in straights via a late second set retirement in the semis against Vasek Pospisil. ERV beat Albert Ramos and Jiri Vesely in straights, then needed a third set against Dudi Sela and also Marcel Granollers in the semis. Johan Brunstrom/Frederik Nielsen won the doubles title over the Croat duo of Mate Pavcic/Marin Draganja.